Caroline just ended her first 9 weeks of kindergarten today. 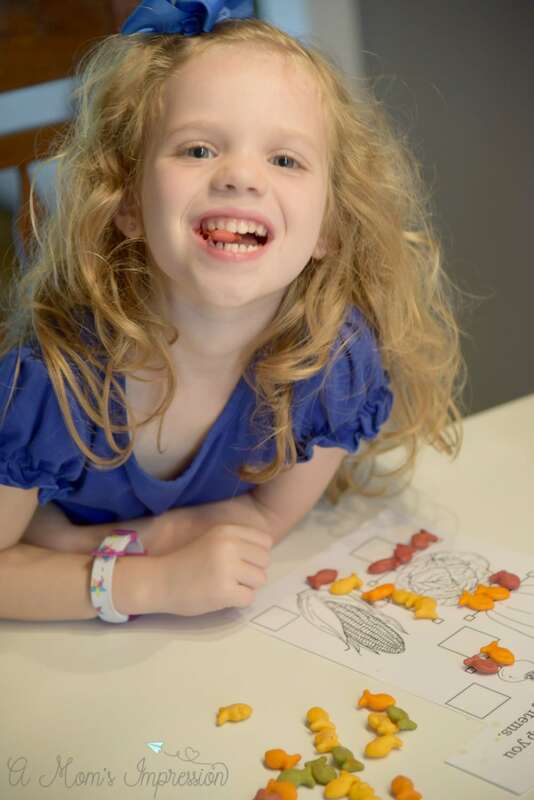 It’s hard to believe that she is already 1/4 of the way through her first year of school. So far she has loved it! We have all gotten into a pretty good routine when they get off the bus. First, we have a snack and then we do homework. She loves watching her older brother do his math problems. He tends to have more homework than she does so lately I have been doing some activities with her that reinforces math skills that she is learning in school. She like doing her “homework” at our dining room table while her brother works on his. My son has been working on conversions, how many cups in a quart and other liquid measurement things. 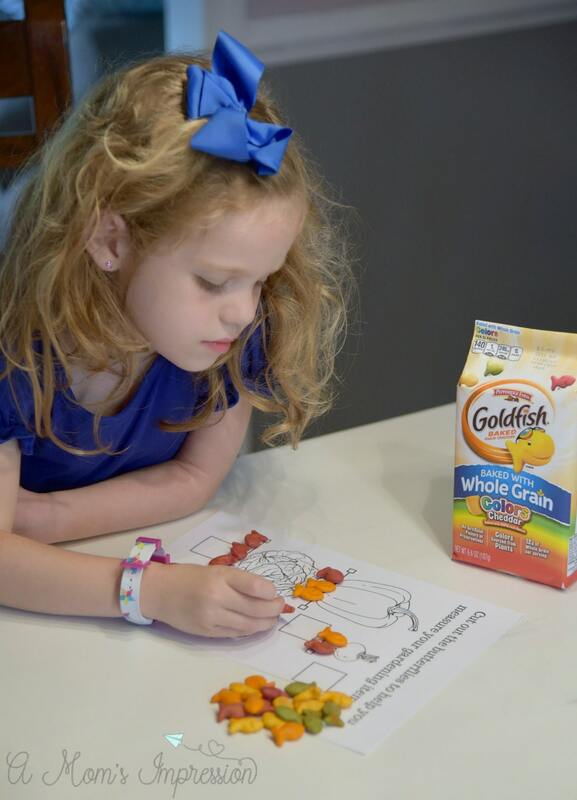 For my daughter, I got the great idea to combine snack and homework time with working on nonstandard measurement. Nonstandard measurement is using objects other than a ruler to measure other objects by (e.g. paperclips). This is a kindergarten/first-grade standard and the kids love it! When I taught first grade it was one of the most fun math units we had. 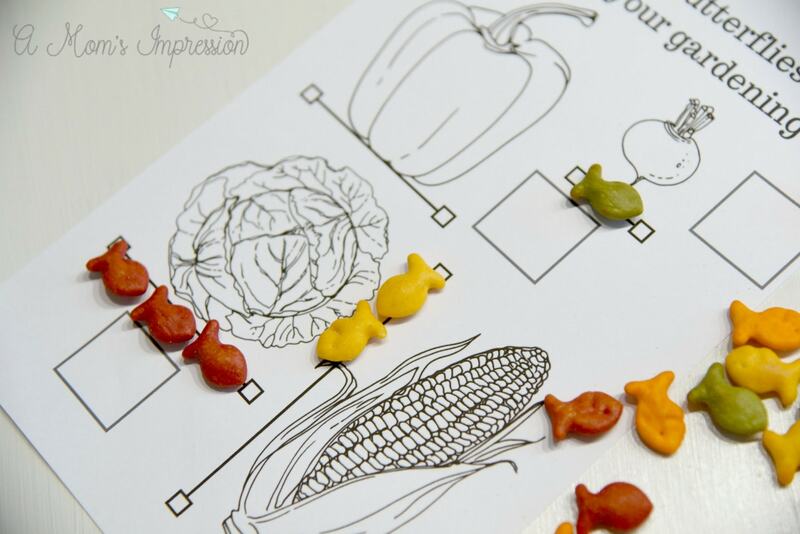 I combined one of our favorites after-school snacks, Pepperidge Farm® Goldfish®, with this fun nonstandard measurement worksheet that you can download below. Using our favorite crackers, Caroline was able to measure different vegetables. Well, I recently found out that not only are Goldfish Crackers baked with 100% real cheese the colors that they use are sourced from plants! 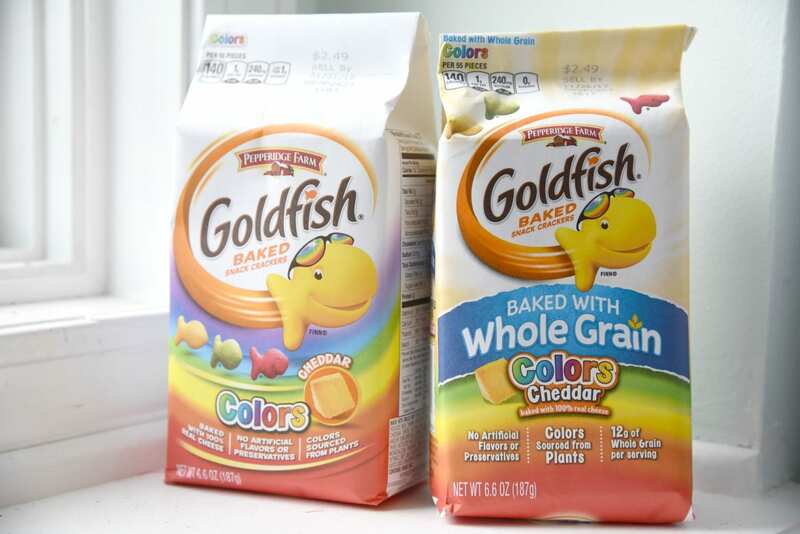 In addition, the colors contain no artificial flavors or preservatives so you can feel good about giving Goldfish crackers to your kids. Want to know where the colors come from? 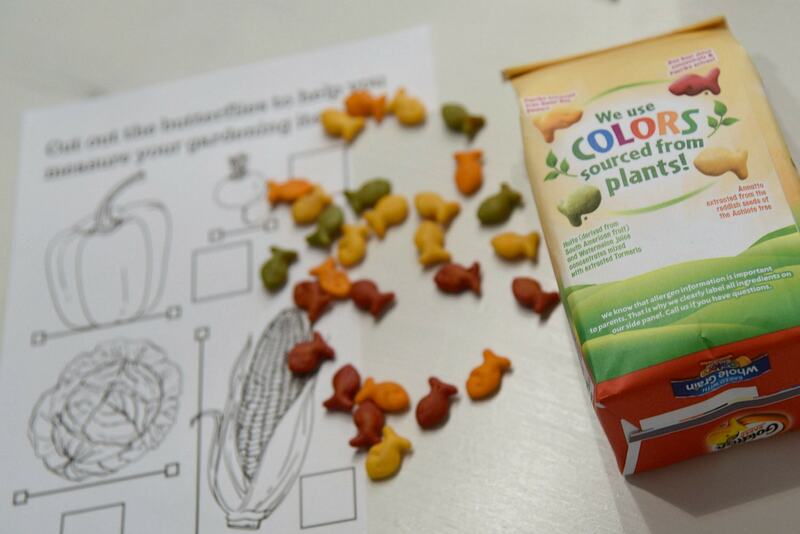 Caroline and I had a lot of fun using our Goldfish Colors Crackers to measure all of our different vegetables. After we found out how many crackers it took for each one, we talked about which one was longest and which one was shortest. It’s a great activity to introduce new concepts like comparing objects. She even decided that she wanted to color the vegetables when we were finished! It was a fun activity that was the perfect length of time, she and her brother both finished up at about the same time! 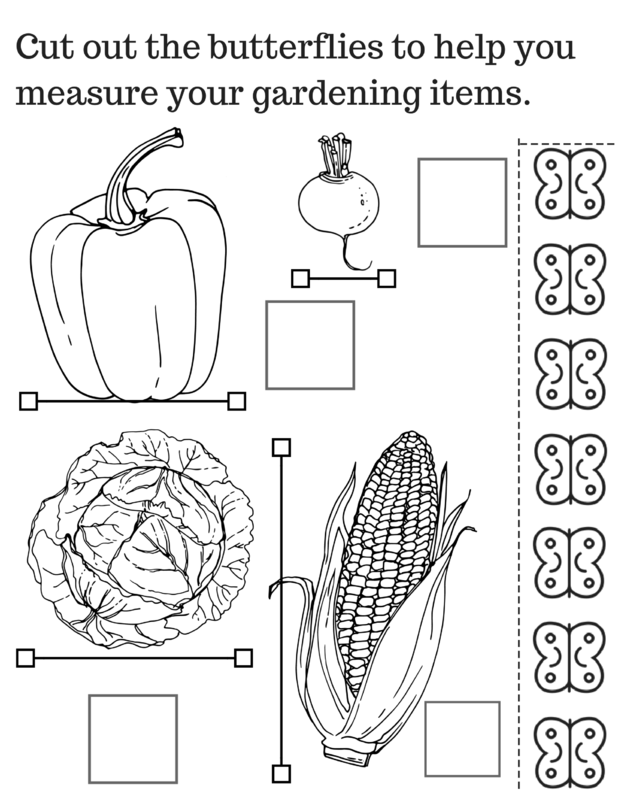 You can print your own copy of our vegetable nonstandard measurement worksheet here or click the picture below. I included some butterflies that you can use to cut out and measure, but it’s best when combined with a tasty snack like Goldfish Crackers!